Find My Workspace lists over 95% of the business centres market in Edinburgh. Simply click Request Quote to check pricing for one office, or Add to Basket for multiple offices. 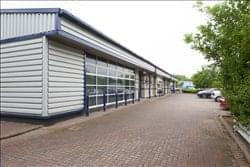 The units provide open plan warehouse accommodation, some of which include office facilities. 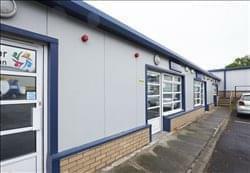 They benefit from vehicle roller shutter doors and pedestrian access to the front. Each unit has toilet facilities. 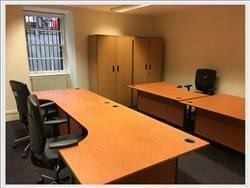 The fully serviced offices are 550 sq. ft. open plan and they benefit from their own individual front door access, kitchen and toilet facilities. The training room facility is a flexible space where you can better your team’s skills. The room provides stacking chairs, allowing you to choose your preferred room layout. The centre has a one to one meeting room which can be booked throughout the day on an hourly basis. A good choice for a more intimate meeting or simply for some peace and quiet. This business centre set in 126 acres of beautifully manicured grounds means it is the premier place to take your business to the next level. This building allows tenants to network and collaborate with likeminded businesses and individuals. 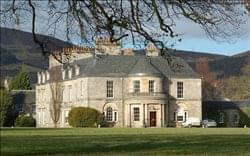 The serviced offices are in a Grade II listed building with fantastic views of the landscaped grounds. The building includes modern facilities such as shower, bike storage and meeting rooms. The workspace is accessible 24 hours a day so is well suited for any kind of working needs. Housed in a lovely Grade A listed refurbished Georgian building, this central Edinburgh centre is part of an impressive four storey building and can accommodate up to four desk spaces within a great open plan space. Tenants will have access to kitchen facilities, toilets, sofas, private meeting room facilities and a newly installed power shower. Tenants can also take advantage of free unlimited ultra-fast broadband and 24-hour access – allowing you to ditch the traditional 9 to 5 and adhere to your own working hours. The wonderful Front of House team will be on hand to meet and greet clients or visitors and deal with any business needs you may have. Situated just off the Newbridge roundabout near Edinburgh. There are two office suites on offer, one is 289 sq ft and the other is 1009 sq ft. The offices have undergone refurbishment and offer modern work space. There are onsite cleaners, a secure fob entry system, super speed WiFi and VOIP phone packages available. The offices are competitively priced and offer flexibility, they are available both furnished or unfurnished. There is 24/7 access at the centre along with other benefits including central heating, double glazing, IT support and kitchen facilities. To obtain information for your selected City of Edinburgh County Business Centres, please tick the "Add to basket" box for each office you prefer and complete the form below. We will then send a detailed report via email.